A cousin to the peanut family, the soybean is a very common allergenic food for the human population. Not only are many people deathly allergic to this bean, but many more have an immune sensitivity to the specific protein structure of soy. This can be a very subtle food intolerance that can easily be identified through subtle to moderate symptoms. No worries, however, because natural soy intolerance treatment is extremely effective and some supplements allow people like me to eat soy products again! A sensitivity to soy is different from a soy allergy in that you won’t necessarily be in danger of dying when you eat it. However, it is very unhealthy and dangerous to have chronic exposure to the protein you are intolerant to because these immune system reactions are inflammatory. Inflammation is the root cause of disease, so you can see how this would affect your health. That’s why it is important to avoid your allergens the best that you can. However, recognizing that you have been having chronic exposure to an allergen is the first step to treating it. In serious cases, anaphylactic shock may be deadly. Since I was a young teenager, I had experienced very uncomfortable symptoms for a reason that I could not pinpoint. It took me about 5 years of experimentation to finally realize what had been ruining my well-being: soy intolerance. The particular symptoms that were bothering me were chronic pain in the abdomen, frequent headaches, poor sleep, nerve damage (I would sometimes see flickering lights), severe acne and dry skin, hair loss, severe seasonal allergy symptoms (I would blow my nose for hours), and belly bloating. This all started when I was around 13. I thought that these symptoms had mostly to do with my hormonal changes during adolescence because everybody had told me that this is when I’ll be in an awkward state of health as my “body changes.” But I thought that it couldn’t be fair, why would this need to happen to me and not everybody else my age? The only thing that I had changed during this period was my diet: I tried eating vegetarian for a few years. I wish I had speculated this earlier because I was forced in a lot of situations to eat soy products that were offered at restaurants and stuff. But the soy intolerance thing was hard to pinpoint for me partly because I was in denial that eating yummy tofu and soymilk would be unhealthy for me. 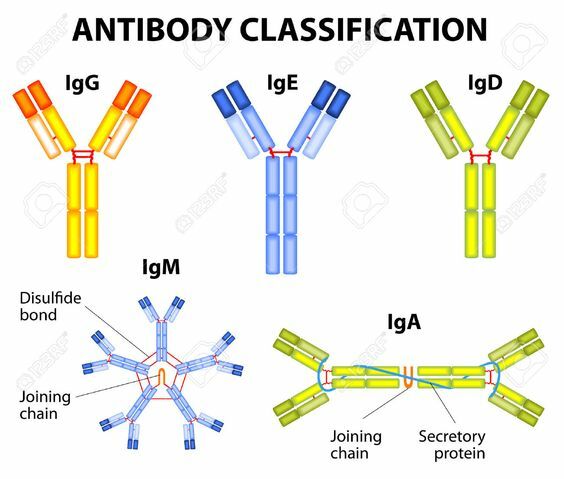 I had gone to the lab for a blood allergy test and it had determined that I had high levels of IgE antibodies, meaning I was eating something that I had an intolerance to. It had to be soy intolerance. Then, I had stopped consuming anything with soy in the ingredients list and my health transformed over the next few months. I felt much better. But I was sad that I couldn’t eat a lot of vegetarian items (and a lot of other things with soy oil and soy lecithin). It had occurred to me that maybe there could be some way to assist your body in digesting the protein that you are intolerant to. This one does wonders for me, unlike any other one. It’s also cheapest and better reviewed. I learned about how natural digestive enzyme supplements work to provide assistance to your digestive system in breaking food down. In many cases, a digestive enzyme treatment may be all you need to stop the immune reactions from occurring when you are experiencing one. For me, this is definitely the case. Whenever I eat sometime I have an intolerance to (soy, peanuts, shellfish), I feel the reaction start to occur and I take a digestive enzyme supplement. This helps my reaction subside for some reason. If I take one of these enzymes a few minutes before eating, it’s as if these foods don’t cause a problem at all. However, eating too much of the foods is not recommended by any means. You should probably still try to avoid them. However, moderation is great for nutrition. Having one of these supplements on hand just in case you accidentally consume a food you are intolerant to, like soy, take one of them so that you don’t experience symptoms of harmful inflammation. Believe me, I would imagine that it would be very stressful to have a soy allergy because so many foods have soy products in it. Take a look at most foods in your pantry—it’s likely that most of them have soybean oil or soy lecitihin in there. Deep-fried tofu under secret names: tamari, tempeh, etc. Now, if you think about it, these ingredients are found in most preserved foods. Unless the brands are specifically trying to avoid soy ingredients, it’s like that they won’t. However, there are different strains of probiotic bacteria and various types of organisms. There are different families of bacteria and yeast that have different functions. For instance, the Lactobacillus probiotic bacteria family have been proven in research to help lactose intolerance sufferers digest milk products. It’s possible that certain strains of probiotics can help you digest soy protein as well. Everybody here seems to praise this probiotic. It makes me feel amazing. You can get it for cheap here. Studies have not pinpointed which ones exactly work for soy intolerance, but perhaps you can try to experiment with different kinds. Simply check the label of the probiotic supplement or food and see which ones make you feel better. The types of probiotics that work best for me and my soy intolerance are ones that incorporate Bifidobacterium as a base. My body seems to not respond to the Lactobacillus family as well as these. Maybe that is because I am not intolerant to milk, but this probiotic supplement definitely helped my soy intolerance symptoms. Check here for how Lactobacillus can harm the health of some people. If you haven’t tried a probiotic supplement ever before, I urge you to try one because it may revolutionize your health and how you feel. You can experiment and research which probiotic strains would be the best for you. I know how uncomfortable the symptoms of soy intolerance are, but these natural treatments can really work for you. The digestive enzymes supplement had helped my symptoms immediately and I urge you to buy a quality food-based enzyme to assist your health whenever you need general assistance with digestion or you have accidentally eaten a food you are allergic or intolerant to. I am still on my journey to conquer what soy intolerance really is and how to treat the root cause of it, so I am sorry that I don’t have any more information for you that would cure the allergy. I’m sure that researchers will have more studies done on food intolerance instances, but they seem to focus of serious allergies right now. If you happen to suffer from this and would like to suggest another natural soy intolerance treatment, please tell me in the comments. It would definitely help me and many others who are struggling to avoid soy ingredients. Information that is available on this intolerance is very limited right now unfortunately. Watch out for soy oil and/or soy lecithin in Vit Ds (those clear oval capsules) and dark liquid capsules of Magnesium, and all supplements including multivitamins. Yes, thank you for adding that! Soy oil and soy lecithin used to bother me a lot! Do you think the enzymes will help me at all? I have soy intolerance myself and it killed me during my teenaged years. However, I did not experience reactions to carpeting, building products, football turf, air freshener, or scents that I was aware of. Perhaps they did have some sort of effect on my health and I did not notice? Although, I do not experience soy intolerance symptoms any more and I can eat soybean products and foods like tofu just fine. I think that I attribute that directly to the MSM crystals supplementation and an extensive parasite cleanse, as I recommend here persistently. Unfortunately, the enzymes will not help you if you are reaction to all of that stuff environmentally. They may indeed help, but you will still experience discomfort. I recommend that you try the organic sulfur if you haven’t already. Please let me know what you think about this in regards to your soy allergy! 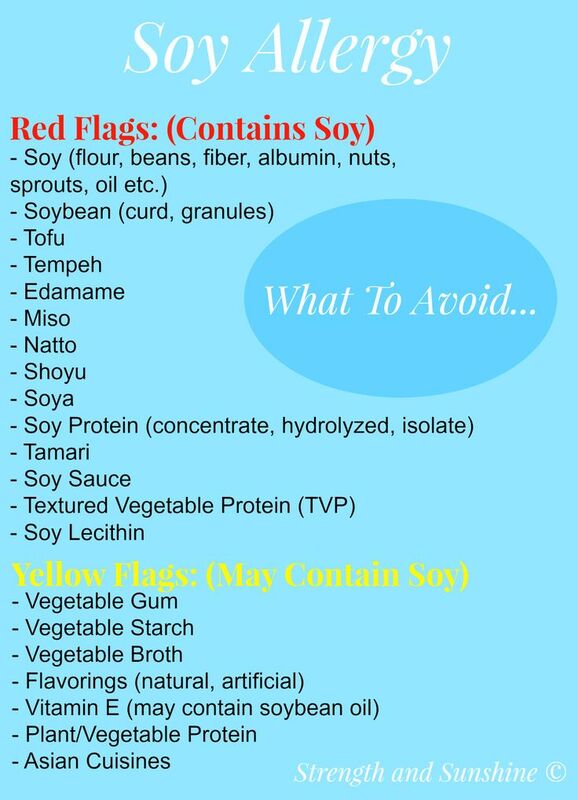 I have soy intolerance and it is so annoying, I can’t eat most snacks that contain soy lecithin. There really are some natural soy intolerance treatments though and they just help with digestion. and thats really it. I think that there are natural cures for food intolerances with some digestive enzymes supplements. A high quality raw food-based enzyme supplement practically eliminates my soy intolerance.